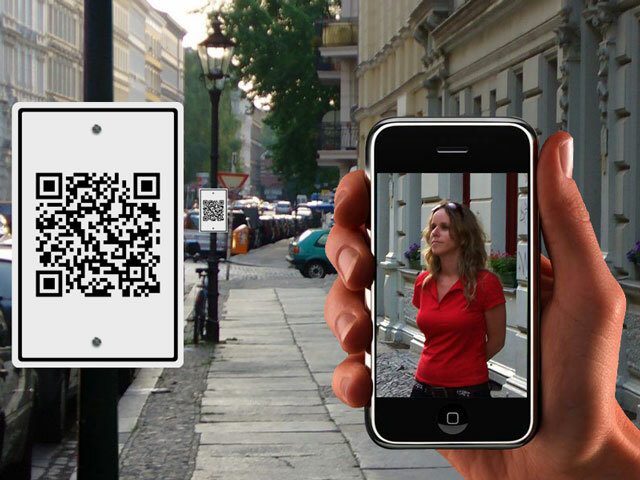 Augmenting Place will be a site specific public art project made up of sequential pedestrian scale street signs with bar codes linked to video clips shot on location for viewing on smart phone mobile devices. The project would be made up of multiple random walks through the city marked by encounters with denizens as they recollect formative memories from their past. 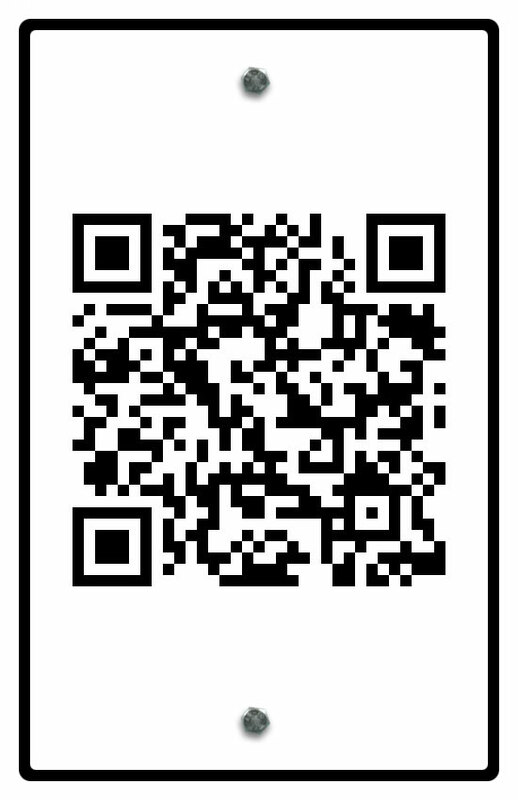 Short clips of video would be uploaded to the Internet and assigned a quick response (QR) code consisting of black modules arranged in a square pattern on a white background. The public will be able to download any commonly available code reader app and point their smart phone cameras at the code. The code reader app would then direct the device to play back the movie that was shot at each point along the way. Based on the psychogeographic methodology developed in the 1950s in Paris by Guy Debord and the Situationist International, the idea for Augmenting Place will be to take random walks or dérives with individuals who live at or near the sites. This proposal evolves from work that I have been developing for some time based on the scholarly work of Gregory L. Ulmer. As part of his theory of electracy, Dr. Ulmer proposes a new practice for making sense of our chaotic urban surroundings, which he terms choragraphy. For over a decade I have worked to develop an artistic practice based on the the choragraphic methodology Dr. Ulmer proposed. 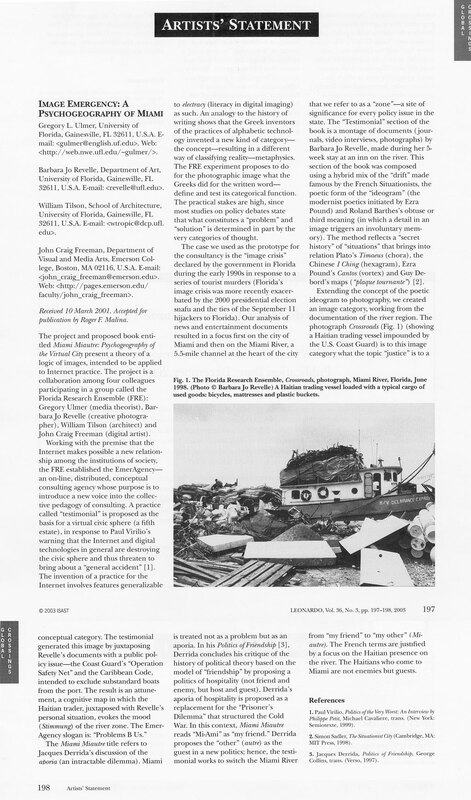 for developed with the Imaging Place project starting with Imaging the Miami River beginning in 1997. Augmenting Place is an attempt to bring the methodology developed through the Imaging Place project and its iterations, out in to public space.